Wrogemann’s conviction is that much would be achieved if we posed new and different questions. When it comes to interreligious relations, what is significant, and what is meaningful? What exactly is a dialogue? Which factors are at play when people from different cultural and religious traditions come into contact with each other as physical beings in real-life situations? What about the different images of the self and of the other? Which interests and hidden motives underlie which claims to validity? Exploring these questions and more in masterful scope and detail, Wrogemann’s work will richly inform the study of interreligious relations. 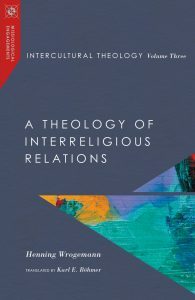 vorheriger Beitrag: Henning Wrogemann: Intercultural Theology, Volume 2: Theologies of Mission Christianity is not only a global but also an intercultural phenomenon.